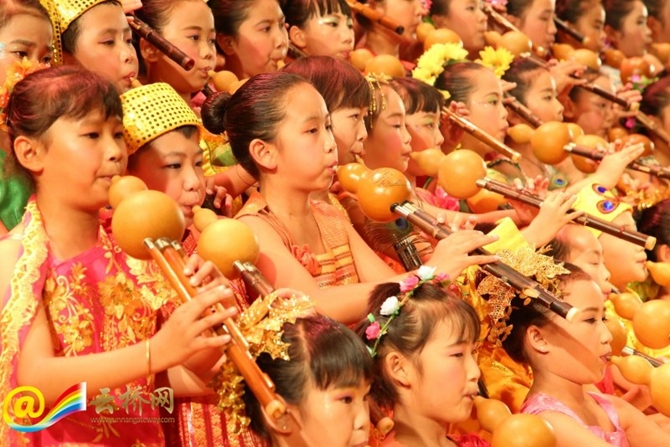 The 2018 China•Lianghe International Cucurbit-Flute Culture & Tourism Festival will be held in Lianghe County, southwest Yunnan’s Dehong prefecture, from August 8th to 20th. 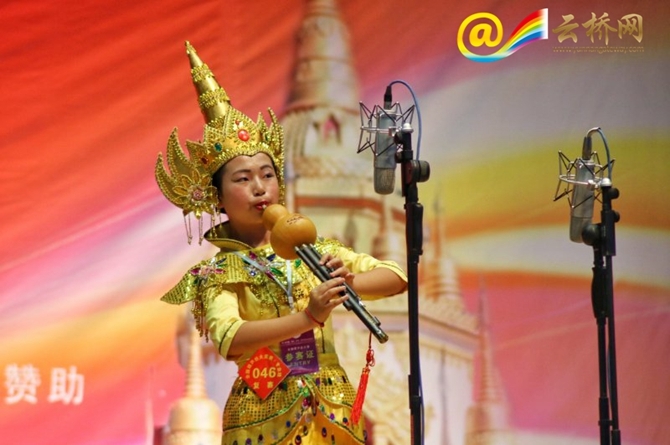 During the festival, cucurbit-flute masters from China and its neighboring countries will gather in the “home of cucurbit-flute (Hulusi)” and a flute-playing competition will also be concurrently held. 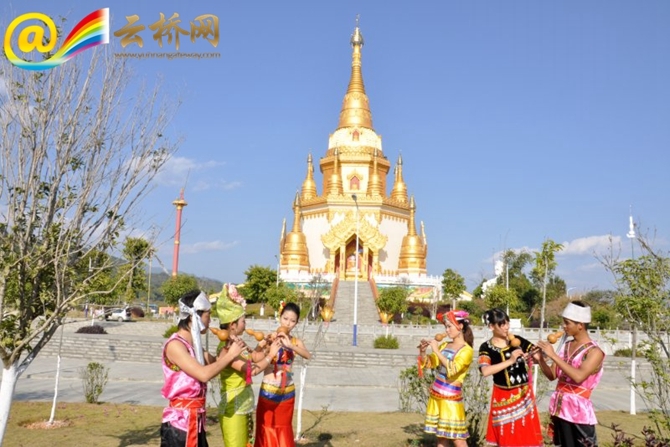 Contestants will be grouped as per their ages, involving 11 competition groups for kid, children, teenagers, youths, the mid-aged, and seniors. 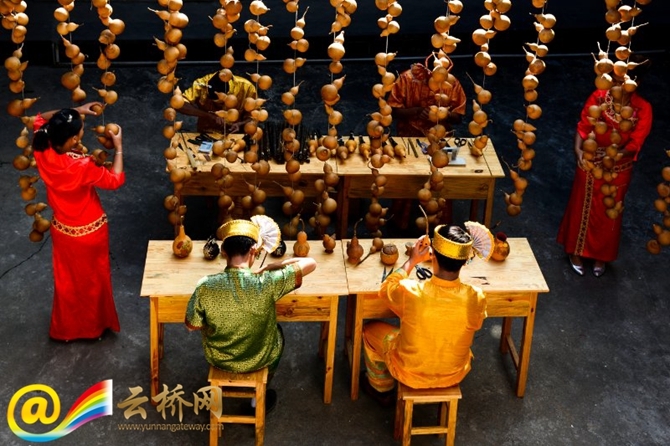 Three prizes and additional awards costing 250,000-yuan will be presented to winners in each group. 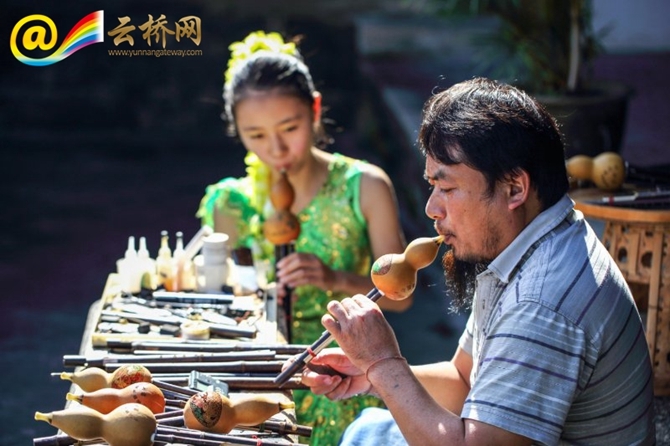 At the same time, various activities will be held in Lianghe, including the cucurbit-flute crafts show, cucurbit-flute light show, Liang Hemei snack-tasting, high-quality produces exhibition, and more. 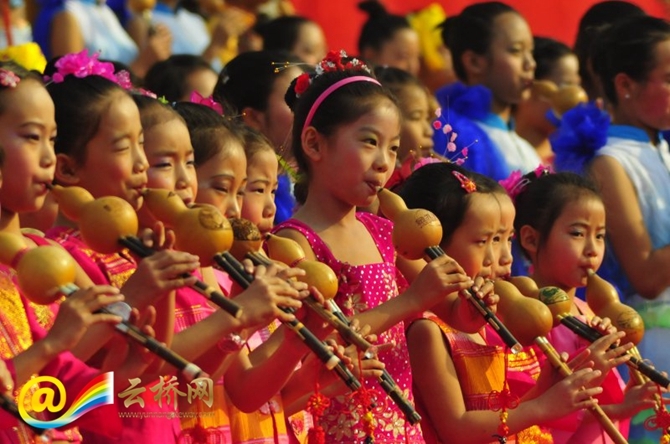 Tourists and cucurbit-flute enthusiasts from across China will visit Gen Dequan’s former residence in the Guigai village. 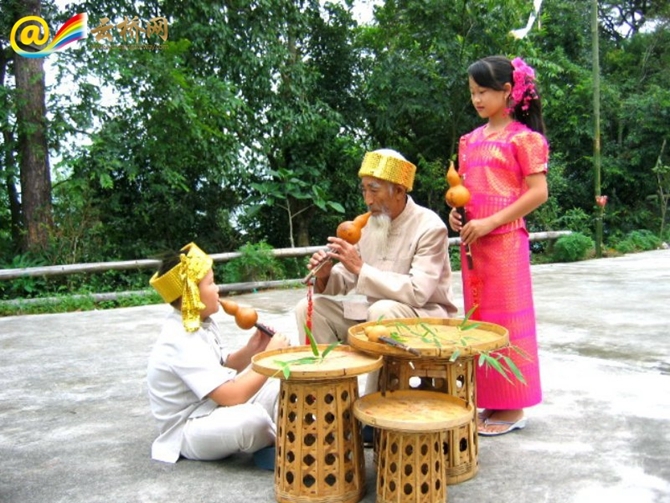 There, the traditional process in making cucurbit flute will be displayed and other merry-making pastoral activities will be organized. 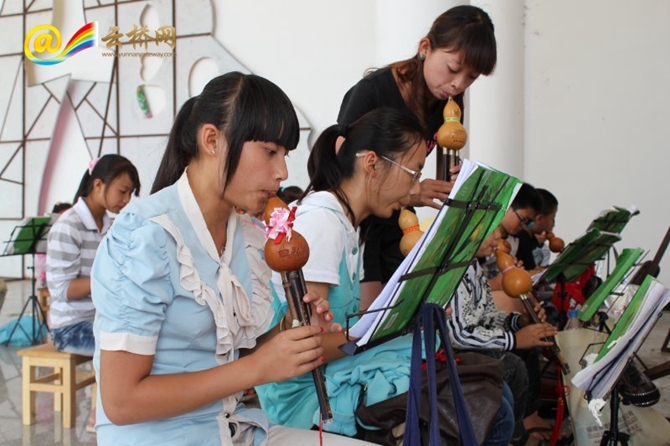 Lianghe, the cradle of the cucurbit-flute culture, is home to quite a few classic Hulusi melodies. 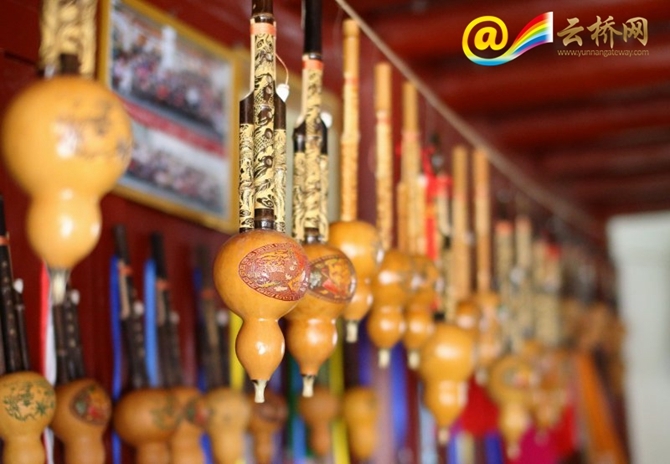 The classics such as the Ancient Song and Deep in The Bamboo Forest are all created in Lianghe. 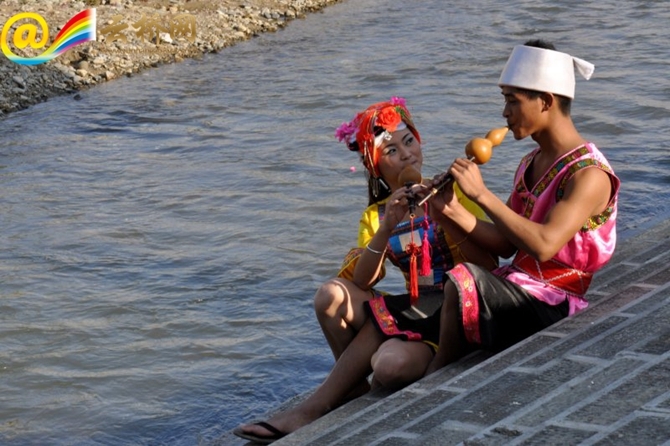 Gen Dequan, the famous Dai folk musician native to Lianghe, was a master of the hulusi (葫芦丝), a reed instrument fashioned out of drinking gourds which is popular among the Dai and many other ethnic groups throughout Yunnan and Southeast Asia. You can sign up for this coming Hulusi competition from May 30 to July 30. And you can register via the Internet, WeChat, SMS, phone call, and mail. For details, please contact: 0692-6161233, or log onto the official website: www. See hlszxw.com.